Ships from Hong Kong. This cute beret cap is made of cotton. 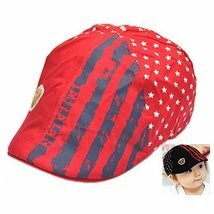 Protect your baby from strong sun light in summer. Suit for baby about 1~3 years old and head girth is about 18.5 inches (47cm). Perfect for outdoor activity-use. Please select the best fitness size for you baby according to it head size.